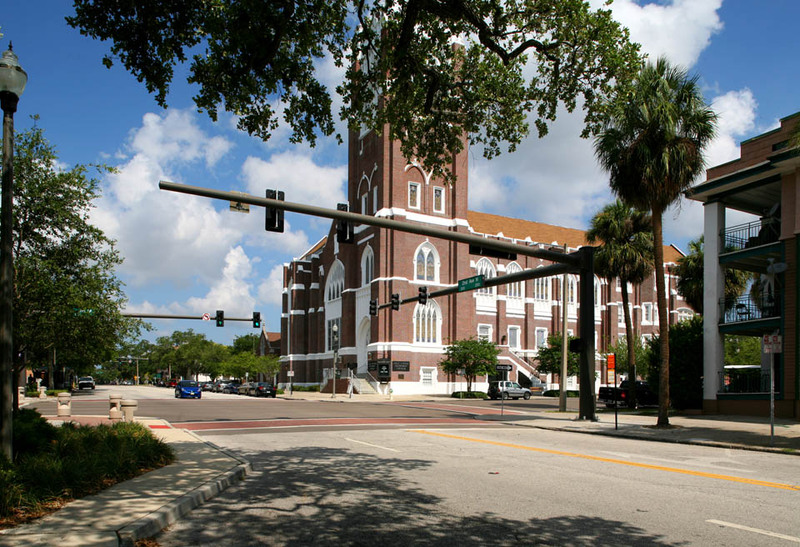 The First United Methodist Church, located on the corner 2nd Avenue and 3rd Street North in St. Petersburg, was built in 1925. This is the fourth church built on this site. 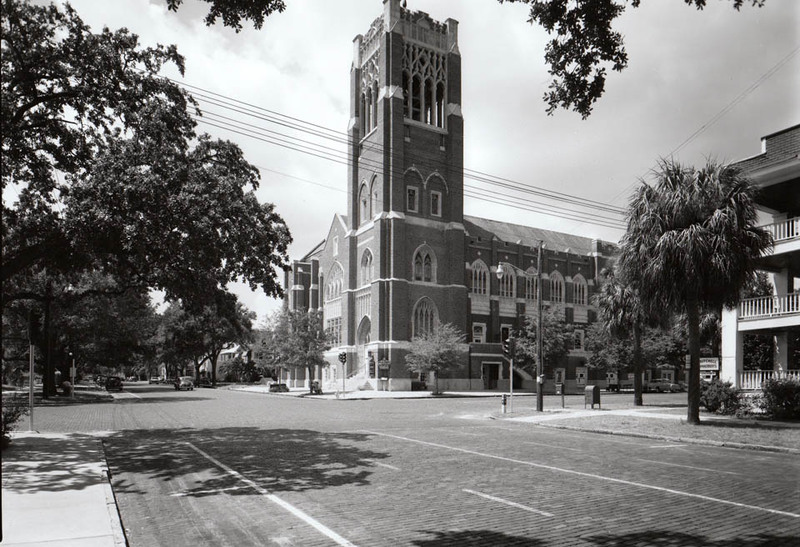 The second and third churches were built in 1902 and 1905, each being demolished to make way for a newer and larger church. Little has changed here………….other than the stone road being paved,and the street sign poles.Nice shot. Although, you can just barely make them out, I love it when I’m able to capture the historic cars as well as modern cars in the two photographs. They really help date the two photos.